The HD4230i features four 48-bit color 4-channel CCD cameras that supply 120,000 pixels of information to an all-new, on-board image processing engine. The scanner can be directly connected to the PC using the USB interface or can be shared on the network via the LAN interface. Like all HD4200i series scanners, the HD4230i provides industry-leading scanning speeds and ultra-sharp resolution. 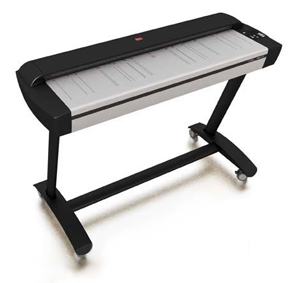 But this scanner also has an on-board PC with installed software, providing the ability to scan directly to a local PC, a network PC, or a large format printer. It even has built-in maintenance software to preserve perfect image quality. 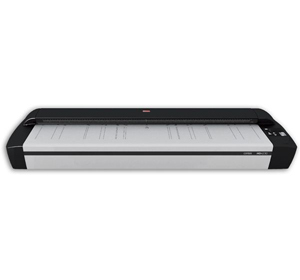 If you need a scanner that provides the ultimate connectivity with speed and reliability, the HD4230i is not just the best choice - it's the only choice. Expand your business opportunities with Contex’s versatile HD4230i scanners featuring advanced technology and quality imaging for color and monochrome scanning. The 42” imaging area is designed to facilitate archival and reprographic tasks with a wide variety of large technical documents, detailed maps and drawings, or color posters and architectural sketches – all at the highest resolution and speed. You get exceptional professional-grade performance with 600dpi optical resolution with speeds of up to 12 inch/second. With uncompromising image quality standards, the Contex HD4230i series is designed for high-volume productivity for businesses-critical imaging tasks. Whether you are a private business, government or print-for-pay, Contex’s range of HD4230i scanners is the right solution for improved efficiency and productivity. With 600dpi optical resolution, the combination of highly sensitive 4-channel CCD cameras and full-sized high-quality camera lenses, HD4230i scanners provides the best image quality available in wide format scanning. With image processing performed inside the scanner, your PC is free to run software more efficiently. 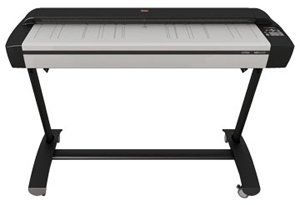 Contex HD4230i wide format scanners are the fastest in the business with up to 12 inch/second scanning speeds. With three unique HD4200 models in six different configurations, choosing the right blend of speed and connectivity for your business is simple. Optical Adjustment Pattern, 36", 3 Cam.